This area of the InsuranceLibrary.com knowledgebase provides answers to the most commonly asked consumer health insurance questions. All of the contributions to the knowledgebase have been provided by actively licensed insurance professionals with a background in health insurance. On this page you can browse the most recently submitted health insurance entries or read some of the most popular answers to health insurance questions. You will also find a search box towards the bottom of this page that allows you to search the entire InsuranceLibrary.com knowledgebase by keyword. 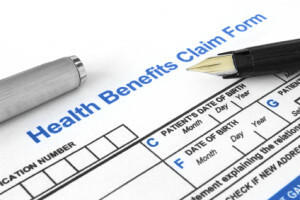 Looking for health insurance quotes? You can find them in our health insurance quote section here. Do I have to wait a year and a day from last mammogram screening to get next mammogram? My mother needs insurance where can I find it? What Does Short Term Insurance Cover? Who Pays For The Silver Sneakers Program? Do Insurance Premiums Change When Your Income Changes? I Had Neck Surgery A Year Ago, And Am Having Problems With My Neck Again, Is That Considered Preexisting?